The Rebel Radio Podcast and The Warp CAVE are teaming up to celebrate the upcoming release of Star Wars: The Force Awakens! Bookmark the link below that collects all of the special podcasts together in one convenient spot as for 6 weeks it's all about the saga and it will conclude with the reviews and more on Star Wars: The Force Awakens! The Warp CAVE brings you in depth retrospectives for each film in the saga from The Phantom Menace to Return Of The Jedi! 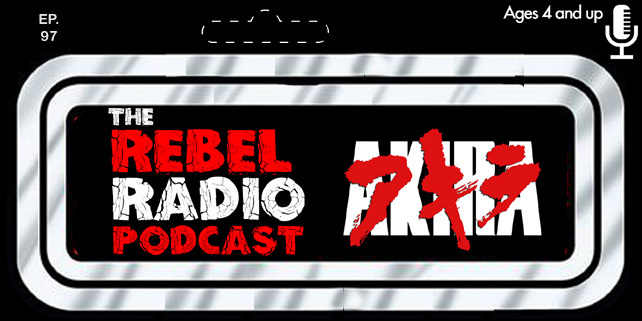 The Rebel Radio Podcast brings you a look back at all six films and more. We will look at video games, collectibles, the expanded universe and more as we take you down the road to The Force Awakens. The Rebel Radio Podcast Episode 38: End Of The Road - The Road To The Force Awakens - We rank the Star Wars films so far and prepare for Episode 7! The Rebel Radio Podcast Episode 37: Jedi, Smugglers, & Wookies - The Road To The Force Awakens - We discuss our favorite characters from the saga! The Rebel Radio Podcast Episode 36: Expanded Empire - The Road To The Force Awakens - The Star Wars expanded universe is talked about! The Rebel Radio Podcast Episode 35: Arcades & Action Figures - The Road To the Force Awakens - The crew disuss Star Wars video games, collectibles and more! The Rebel Radio Podcast Episode 34: The Saga - The Road to Force Awakens - The Rebel Radio Podcast crew goes down memory lane about the Star Wars movie saga!